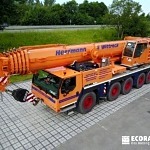 EcoGrid is the ideal product to produce gravel filled parking systems, tool storage areas, site walkways etc. 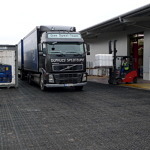 A High load bearing, permeable and strong base system for use on construction sites to reduce the potential of Health and safety issues surrounding mud management and poorly constructed walkways, parking areas, tool stores and general storage areas. 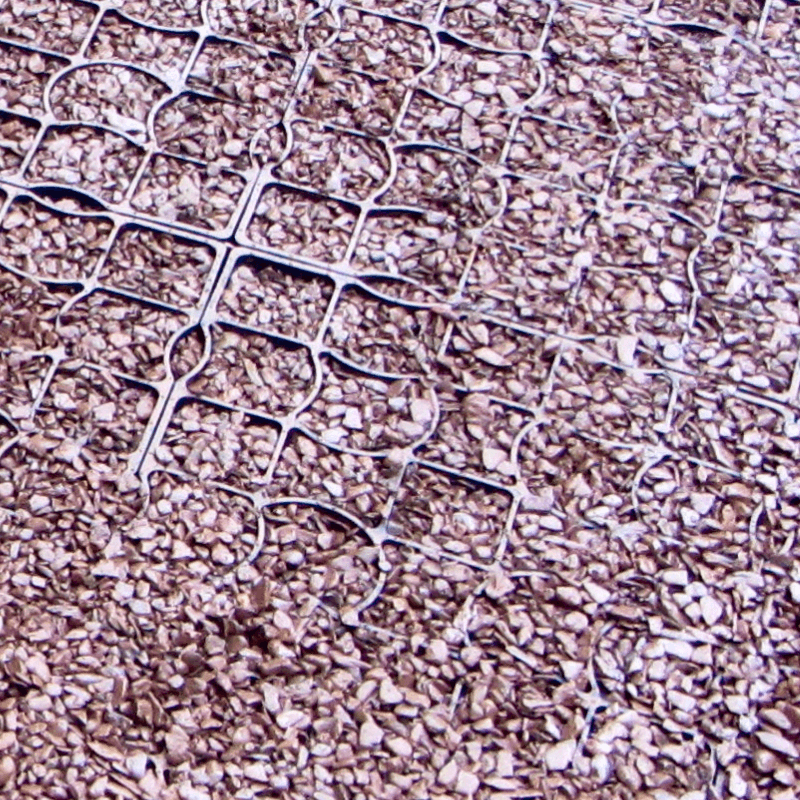 Tests have proven that there is a potential for an up to 80% saving using Ecogrid as opposed to more traditional surfacing. • Easy to handle and position. • Can be used as barriers, matting for boot scraping, pathways, steps, ramps. Often we get scenarios where excavation is not possible or is minimal such as sites of archaeological value or in areas where tree roots need protecting. Here the issue is that the sub-base needs to be as thin as possible whilst still retaining surface loading. 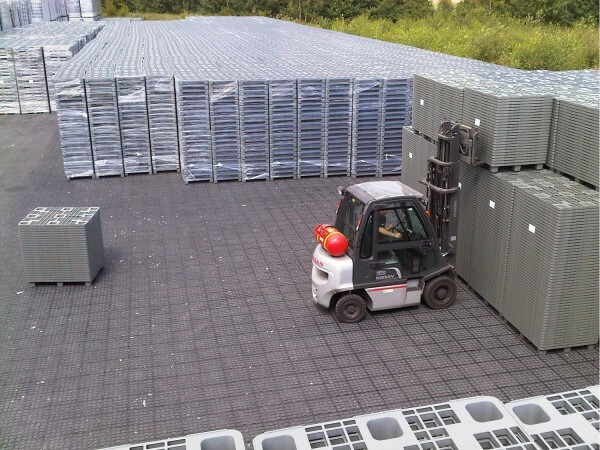 Often here, we advise laying of a geotextile layer first, then a layer of (for example) 100mm clean 20mm stone retained by our Ecogrid Cell Web, a secondary geotextile layer is then laid and then the Ecogrid standard grids or Ecogrid Bloxx is laid. 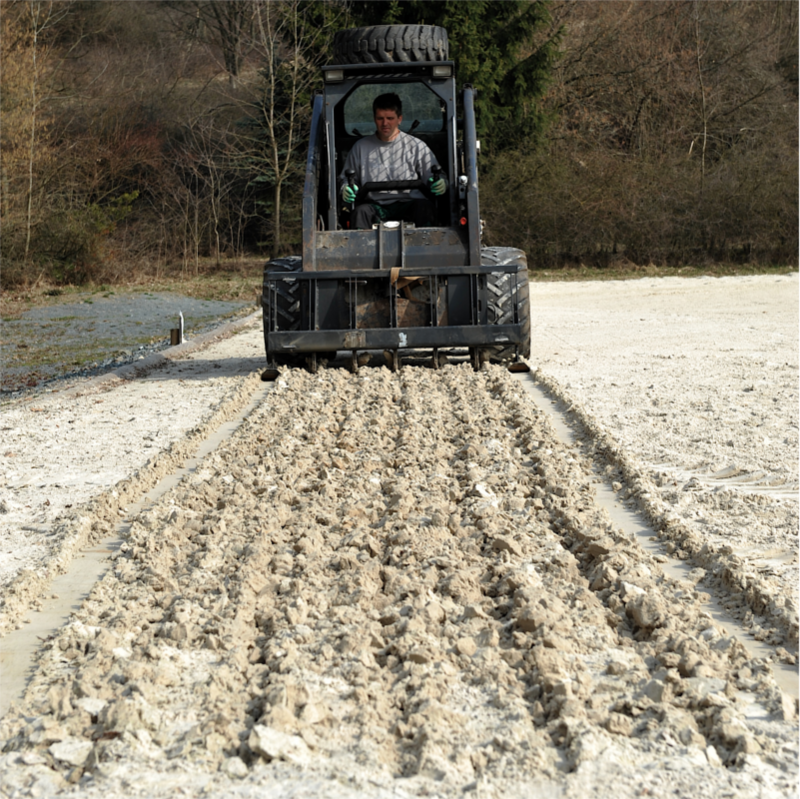 An Ecogrid approved geotextile layer follows to enhance surface support, provide a layer of filtration and to stop the drainage layer stone migrating up to the surface. 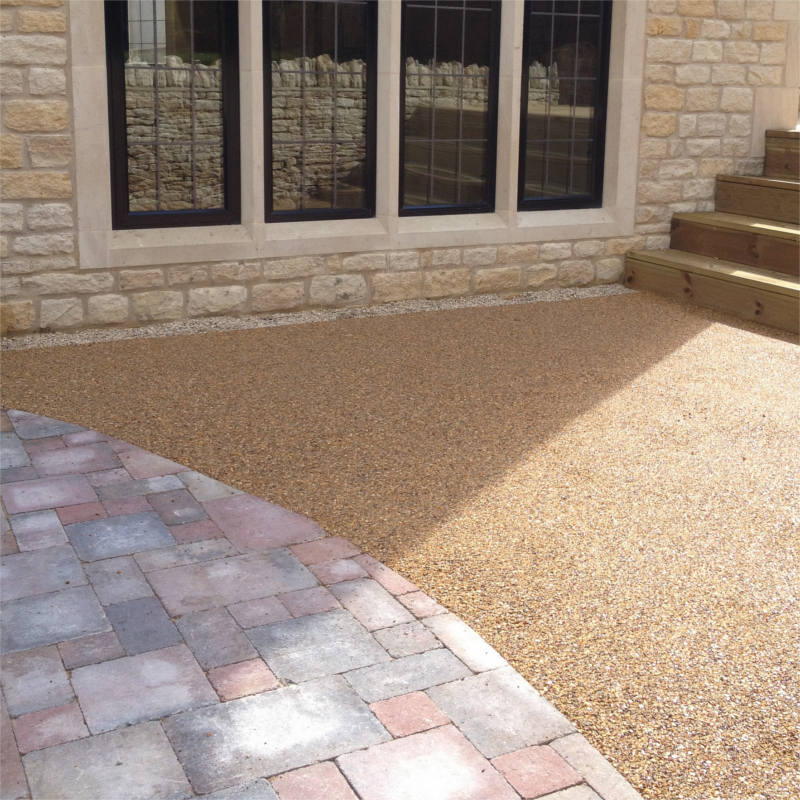 A screed layer is laid, this can be a large granulate sharp sand or clean fine sharp angular stone, typically 20-30mm deep laid, levelled and compacted. Crushed slate is our own infill of choice, especially Crushed Welsh slate as this is an abundantly available option and blends nicely with the black grids.